I probably shouldn’t be telling you this, because I might be encouraging competition–but I can’t stand it. I’ve got to share one of my new, favorite things to do: looking for antique seed catalogs on eBay. 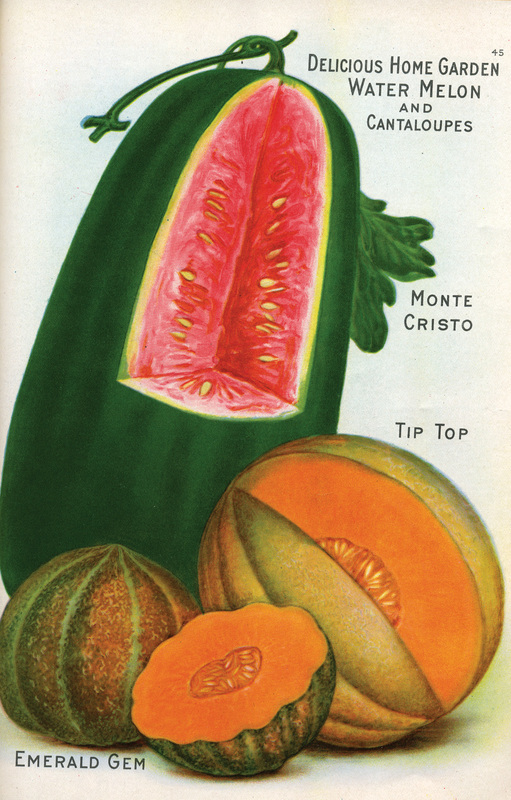 Long before digital photography (and before film photography was widespread) , artists were sketching and painting beautiful pictures of fruits, flowers, and vegetables for seed sellers across the U.S.
A lot of these old seed catalogs survive, but many are in pretty bad shape. Who would’ve guessed they’d be valuable one day for their artwork? This is the cover of one catalog I found for less than $20, but be prepared to pay more if the one you’re coveting is bigger, older, and/or in better condition. I bought this one, which was created prior to modern day copyright laws, so my publisher could reproduce some of the images for my book, Gardening with Heirloom Seeds. Want to use old images for your projects, too? Just make sure you don’t violate any copyright restrictions. You can learn more about copyright laws here. Then start looking around. You may find a stash at a grandparent’s house, in your attic, or somebody’s garden shed. Then it’s easy to scan the images in and use them on your website or print them out (again, be sure you’re allowed to do that under current copyright restrictions). I’d love to see what you find! Share your image here, if you have one!